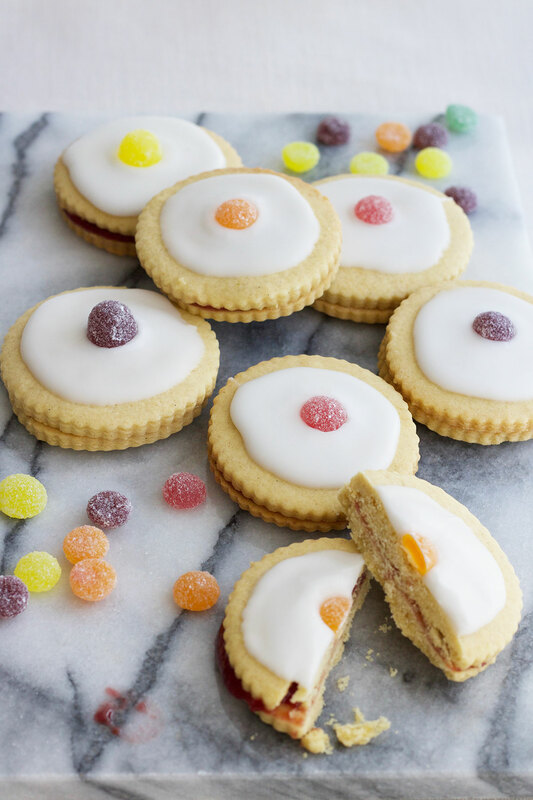 Empire biscuits are one of those special bakes that stay with you from the moment you take your first bite. How the biscuit crumbles, the jam oozes out the sides and sticks to your fingers and the icing thickly coated across the top leaves your teethmarks in its sugary shell. Of course, the best part is the jelly sweet on top, saved for last. The merits of a good empire biscuit are based on what colour the sweet is – red and black the most superior of course. As a child I had a system for eating an empire biscuit, largely to savour it for as long as possible once it was removed from the paper bag. I’d twist the two biscuits apart and eat the bottom one first, enjoying the sweetness of the sticky bright pink factory jam which bared no resemblance to the jars in the cupboard. Then came the iced biscuit, the jelly sweet removed and more sugar would hit, heat creeping across my nose at the sweetness of it all. And finally that sweetie would be popped in my mouth and the process would be complete. 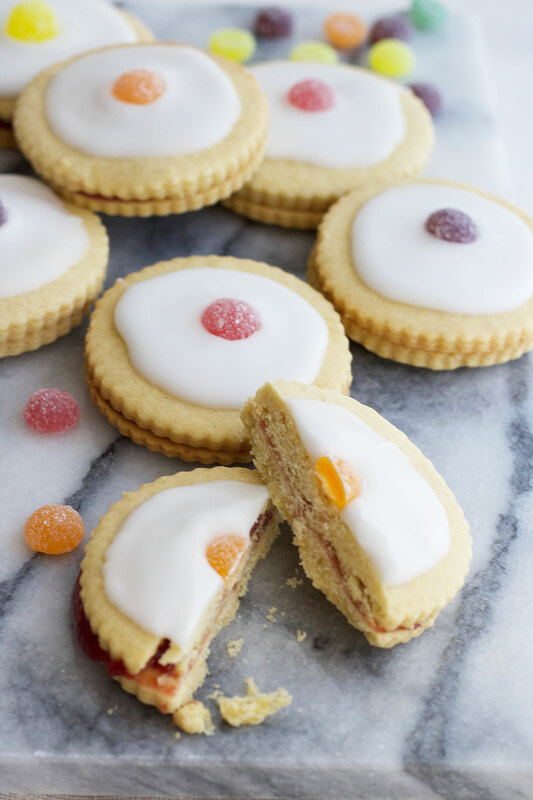 These days I don’t have the patience I had as a child and when I choose an empire biscuit from the cafe at work, I devour it in one go for a pre-lunchtime sugar hit. I sometimes pick one up for my breakfast on especially unorganised days. Yet due to my Veganuary challenge, the dinner plate sized biscuits so conveniently located in relation to my desk were out of bounds and so I sought refuge in the internet for a vegan version. 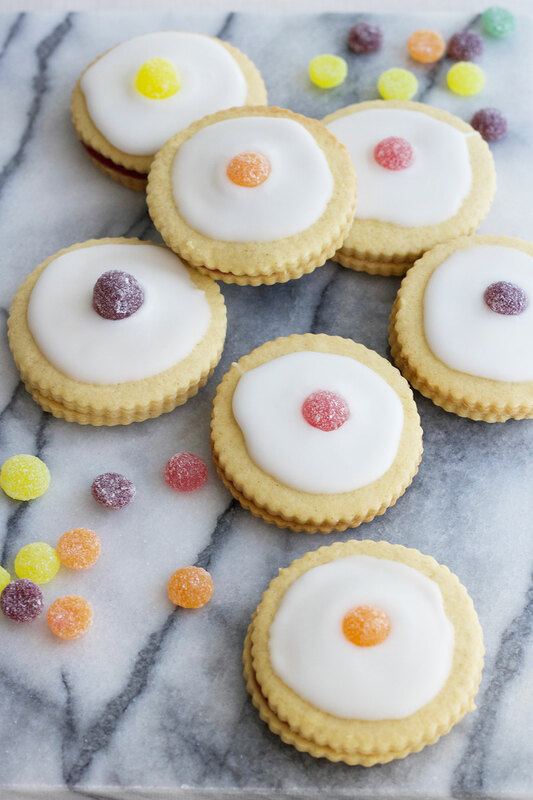 Aimee’s recipe for crumbly jammy dodgers looked like the perfect starting point and so on a snowy Saturday, I made these pretty little biscuits topped with all my favourite coloured Jelly Tots, which are accidentally vegan. You could use the classic glace cherries if you wish, which is how my Mam makes them, but if you’re sticking to a vegan diet, some may contain red dyes that contain some questionable ingredients. 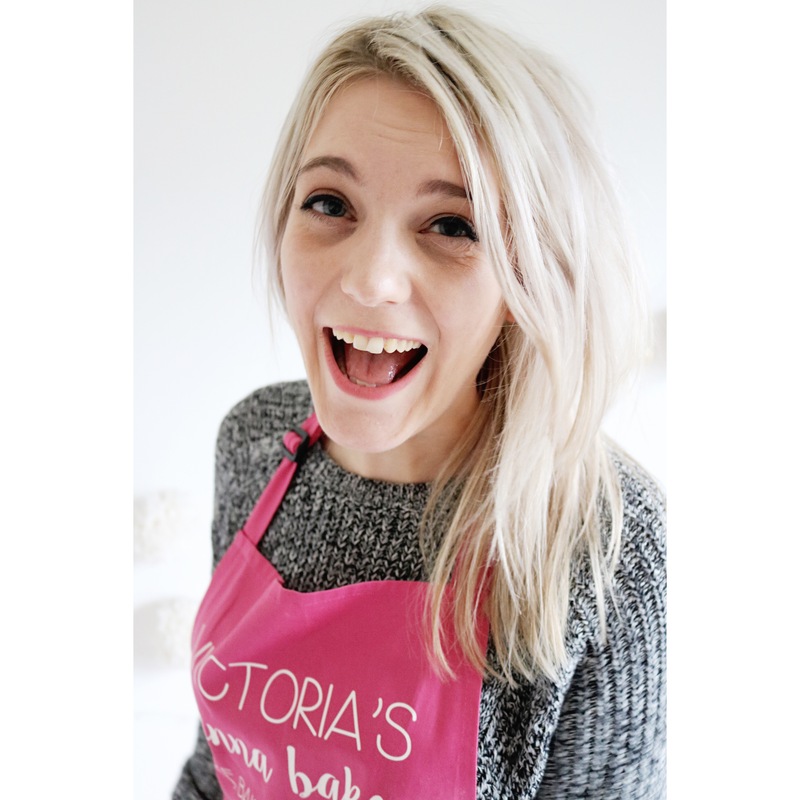 To make the biscuit dough, beat together the vegan butter and caster sugar in the bowl of a stand mixer for around 2 to 3 minutes until pale and fluffy. Add the vanilla paste and flour, then slowly beat to combine to a soft dough. Wrap the dough in cling film and chill for 30 to 45 minutes. Preheat the oven to 200oc/180oc fan and line two baking sheets with greaseproof paper. On a clean, lightly floured work surface, roll the dough to the thickness of a pound coin. Using a 4cm round cutter, cut out as many biscuit shapes as you can, rerolling the scraps until all the dough has been used up. Arrange the biscuits on the baking trays then place in the oven to bake for 10 to 12 minutes until lightly golden around the edges. Cool on the trays for five minutes then transfer to a wire rack to cool completely. Once the biscuits are cold, match up the biscuits then place a dollop of jam on the underside of one biscuit and top with another the right side up. Repeat with the remaining biscuits until the jam has been used up. To decorate, mix together the icing sugar and the boiling water to a smooth yet slightly thick icing. 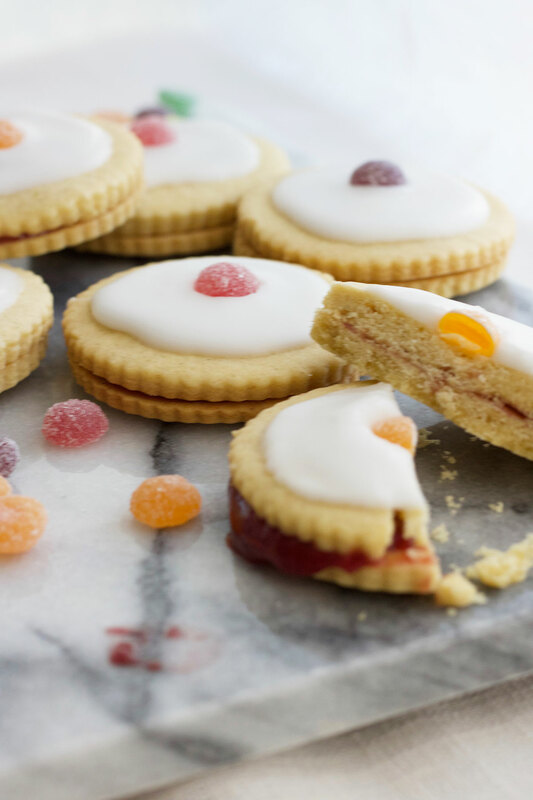 Dollop onto the top of each empire biscuit and smooth to the edges with the back of a spoon. Top with a jelly tot then leave the biscuits to set. Store in an airtight container for up to five days. Thanks Erin! I know, I was surprised myself. Taking on this vegan challenge has been pretty eye opening! Yummy…saving this recipe to give it a try. Thanks Kaydeon, I hope you enjoy them! Omg these look and sound heavenly! These look so yummy! I will have to try these out. My hubby wants to be vegan, I will make him these! Thanks Janice! I went vegan during January and it was quite a good experience, especially when you can still make and eat biscuits like these!